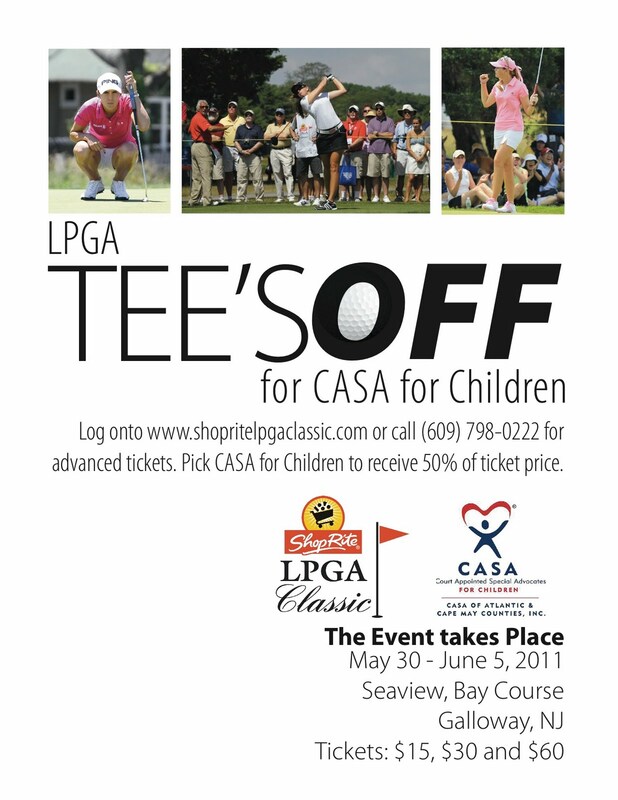 For the second straight year, CASA for Children of Atlantic and Cape May Counties was selected as a ticket charity for the Shoprite LPGA Classic Tournament which returns to the historic Bay Course at Seaview – A Dolce Resort in Galloway, N.J. from May 30 through June 5. To purchase tickets or for more information about the golf tournament please visit www.shopritelpgaclassic.com or call (609) 798-0222. A story that has been popping up in the news lately is that of 10-year-old Nubia Doctor and her twin brother Victor. Nubia and Victor, foster children, have a tragic tale of abuse and neglect. After being adopted by a Florida couple, the children were beaten, malnourished and neglected. On Feb. 14, Nubia was found dead in the back of her adopted father’s pick-up truck, her brother cowering in the front seat, nearly alive after being doused in an unknown chemical. Before that devastating valentines day, there were many warnings of Nubia’s and Victor’s abuse. Teachers, neighbors and even the children’s Guardian-ad-Liam had said the children should be removed for the home for allegations of abuse. However, the Department of Children and Families ignored the pleas. However, this week, just one month after Nubia’s body was found, a task force panel looking into the child’s death cites “fatal ineptitude.” The panel concluded that Florida’s Department of Children and Families were given many reports on the alleged abuse occurring within the home. Earlier this week, the two DCF employees assigned to the case were fired and another 5 were reprimanded. A small victory in the wake of Nubia’s death. In an earlier post, we congradulated Jack McCarron on being Volunteer of the Month for the United Way. 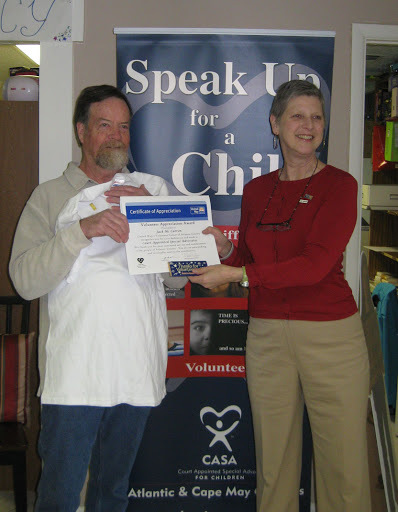 Yesterday, Jack was presented with a certificate, a Live United T-shirt and a sweet treat candy bar at our CASA offices. Congradulations again Jack for all your hard work! CASA for Children of Atlantic and Cape May Counties will have a booth at the South Jersey Leprechan Leap in Brigantine Sunday, Mach 13 from 12:30 – 3 p.m. Come out and learn about CASA, what we do and how you can get involved! The South Jersey Leprechan Leap is an event put on by the South Jersey Cancer Fund. Proceeds from the event benetit the organziation. The day will have live music by the Irish Sand Crabs, a bonfire and a pet costume contest. The big event starts at 2:15 p.m. when attendees will leap into the ocean to teh music of live bagpipers! Don’t you want to get away? You can with CASA for Children’s Flyaway Getaway Raffle! For months you’ve been couped up from the outdoors. Snow and rain is haunting your dreams, but spring is approaching. You can see the sun peeking out from behind months of winter’s cold. 60 degrees days are helping you to fight the winter blues. You want to get away, maybe even somewhere exotic. Well, CASA for Children has you covered. 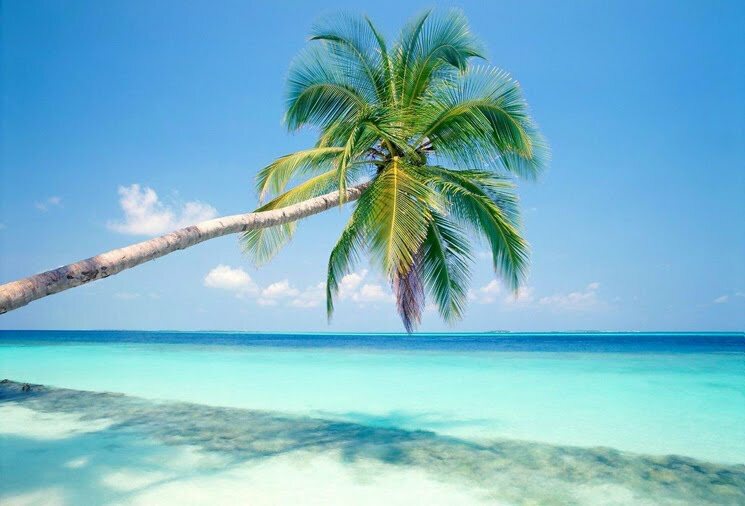 Buy a raffle ticket and enter to win our Flyaway-Getaway prize! You could be whisked away to a destination of your choice in US or Canada and have four free nights at particpating Fairmont Hotels and Resorts – an $2,350 value! Tickets are $20 and you can purchase tickets online or call us at (609) 601 7800 from now until 4 p.m. Friday, June 24. The drawing will be held Tuesday, June 28, 2011 at 1 p.m. Ticket purchasers do not need to be present to win. You will be notified by phone or email if you have won. All proceeds from the raffle will benefit CASA of Atlantic and Cape May Counties. Already dreaming of beautiful shores or a hike through mountains, then what are you waiting for, purchase a ticket today! As states propose their budgets for fiscal year 2012, there is a grown trend. Iowa, Texas and Nevada are just a few of the states who are cutting funds to social services. In Nevada, state lawmakers are proposing a 16 percent cut to family services. This could reverse the years of progress the state has made since 2006. Iowa Governor Terry Brandstand already cut $240,077 from the Iowa Child Advocacy Board, which oversees the Iowa Court Appointed Special Advocate and Foster Care Review Board programs, in 2011. He is proposing to cut another $160,817 from their budget. And in Texas, lawmakers are proposing a 13 percent cut, which equates to a reduction of $2.2 billion to programs like child protection services and investigations, foster care and adoption payments, child abuse or neglect prevention programs, family violence services and communities in schools. These proposed cuts can and will harm these states most vulnerable citizens: foster care children. Many of these cuts will lead to social workers with overloaded cases, shortages in workers and cutbacks in needed services to children. In Nevada, the proposed cuts would skyrocket case worker’s case loads, allowing them to only spend 20 minutes with each child. As more states propose budget cuts to social services time will only tell what these cuts will do to children in the foster care system. CASA Advocates are needed now more than ever. Join the cause and speak up for a child today before it is too late. Log onto www.casaforchildren.org to find a local CASA for Children in your area or click here to volunteer in Atlantic and Cape May Counties.